Unique Gifts – Don’t Forget the Feet! Gifts for that special someone can be hard to come by. Whether it be your husband, wife, mom, dad, grandparent, or just someone special in your life, finding unique gifts that will make a lasting impression can sometimes feel impossible. No worries… I can help! Being a podiatrist I find that while our feet are our primary mode of transportation, they are often one of the most abused and forgotten parts of our bodies. Did you know that the average person takes enough steps in a lifetime to walk around Earth three times? Our poor feet! So… when thinking of unique gifts for your loved one, why not think of their feet? Trust me… they will thank you! I have included a list of my top, highly recommended, unique gifts below that all involve the feet in some way, shape or form (items are listed via price: low to high and fit all budgets). Whether it be a product that will pamper them OR something that will increase their foot health, these are truly unique gifts that will keep on giving! Price: $8.19 Tight on budget but still want that loved one to feel ultra special? 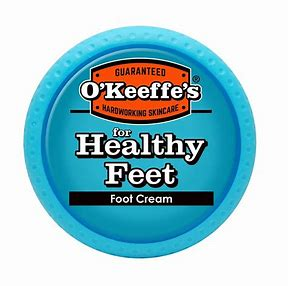 I have got your back with THE PERFECT, yet economical, gift… O’Keeffe’s for Healthy Feet Foot Cream! I swear by this absolutely unsurpassed concentrated foot cream. Don’t let the price fool you, it is without a doubt one of the most unique gifts that your special someone will receive. They will be talking about how awesome this stuff is until they run out… and then they will be begging for more! I mean… this product is ranked as the #1 foot cream on Amazon… that speaks HUGE volumes. 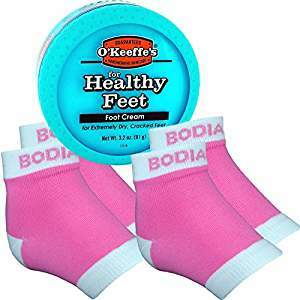 Not only will your loved one enjoy the luxurious massage upon application of O’Keeffe’s for Healthy Feet Foot Cream, but they will experience and enjoy first-hand all the benefits that this cream offers. Dry, cracking soles are no problem for this cream which utilizes a high concentration of both glycerin and Allantoin to achieve healthy-feeling and hydrated skin. The exceptional formulation within this foot cream not only masks the unappealing appearance of extremely dry feet, but is capable of penetrating even the thickest of surfaces in order to repair and prevent its return, yet it is safe for even diabetic patients. Did I mention that actual results are experienced within a few days? Yes… this is in fact the case! Do you see now why O’Keeffe’s for Healthy Feet Foot Cream is on my list of unique gifts? This product is a winner for sure! In fact, with this price, go ahead and purchase yourself some as well… you deserve it! 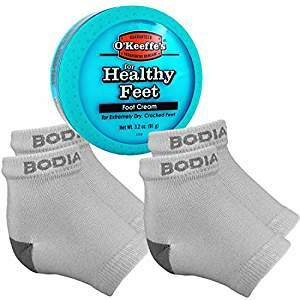 Purchase your O’Keeffe’s for Healthy Feet Foot Cream by clicking HERE now!!! While this product alone is an unbeatable gift, if you just insist on spending a little more than the $8.19 cost of this invaluable product, you can purchase it within an amazing bundle which includes 2 Pairs of the Bodiance Moisturizing Gel Heel Sleeves along with O’Keeffe’s for Healthy Feet Foot Cream available in pink for $24.97 or gray for $26.98. To purchase this bundle in pink for $24.97, click HERE! To purchase this bundle in gray for $26.98, click HERE! The FootMate System Foot Massager & Scrubber with Rejuvenating Gel is one of many unique gifts that is a thoughtful, yet practical present that your receiver is sure to enjoy time-and-time again. I am sure that you have showered at least once in your lifetime… right? Well… you KNOW just how difficult it can be to properly wash your feet! I mean let’s face it… once you lather that soap on and step down, your shower becomes a slick accident waiting to happen. And… just how well do you REALLY wash your feet when you are performing a balancing act while working on the lifted foot? Well… your problems (or at least your loved one’s) are solved! With the FootMate System Foot Massager & Scrubber, you don’t have to worry about your loved one ending up on the shower floor AND you will KNOW that they are getting a thorough wash to the most abused part of their body… their feet. The FootMate System Foot Massager & Scrubber with Rejuvenating Gel is the TOTAL package for cleaning, soothing, stimulating, rejuvenating and massaging in every shower with features that can truly be appreciated as is expressed by the thousands of reviews of very satisfied customers. Click HERE to buy the FootMate System Foot Massager & Scrubber with Rejuvenating Gel now at the cheapest price!!! With both a practical and efficient design, the FootMate System Foot Massager & Scrubber sits it far above its competitors in both style and functionality. A wide, gentle inner brush exists to massage the sole of your foot, while outer, stiffer bristles function to smooth thickened, rougher skin. These contoured bristles work to not only provide enhanced cleaning power for both the sides and bottom of your feet, but also reaches between the toes which is often neglected. This massage not only efficiently cleans the feet, but also stimulates blood flow to the area and induces a feeling of over-all well-being and increased health. Featuring both suction cups and a unique anti-mildew retrieval rope, the FootMate System Foot Massager & Scrubber can also safely be utilized in the bathtub OR shower. It is even endorsed by the American College of Foot & Ankle Orthopedics & Medicine and made in the sweet USA! 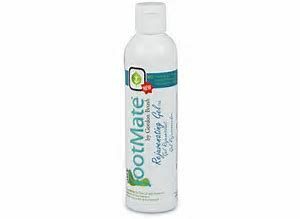 The FootMate System comes with a 7.5 ounce bottle of FootMate Rejuvenating Gel that is formulated especially for the feet and contains well-known ingredients including Tea Tree Oil and Aloe as well as many other skin conditioners. These ingredients aid in the prevention of Athlete’s Foot, support good toenail health and decrease that foul foot odor that so many people experience. This rejuvenating gel is AWESOME guys and gals and will leave that special someone’s feet feeling soft, refreshed and smelling great! To purchase additional bottles of the FootMate Rejuvenating Gel click HERE! So… if you want to provide your loved one with the means to clean, condition, massage and just plain pamper their tired, achy feet, then the FootMate System Foot Massager & Scrubber with Rejuvenating Gel is THE gift to give! 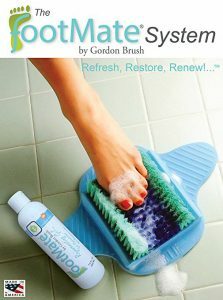 Purchase your FootMate System Foot Massager & Scrubber with Rejuvenating Gel by clicking HERE now!!! Price: $29.95 Talk about unique gifts! This “gem” is sure to be the topic of your gathering. Does your loved one suffer from foot deformities such as bunions or hammertoes? Do they complain of just tired feet in general? Well… I have the solution AND it will be a treasured gift for that special someone! This gel toe stretcher & separator, YogaToes GEMS, claims to provide instant therapeutic relief for your loved one’s feet while fighting against the development of certain disorders such as flat feet, bunions and hammertoes. Exercise for your toes? YogaToes GEMS makes it possible. 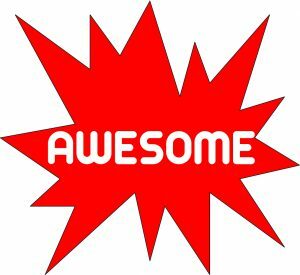 And… with over 1500 reviews from its customers ranting and raving over how great this product is, I couldn’t help but include this in my list of unique gifts. Click HERE to buy YogaToes GEMS now at the cheapest price!!! Fitting in-between and beneath the toes, YogaToes GEMS works by gently spreading the toes apart from each other and away from the ball of the foot. This allows the joints and muscles within your toes to strengthen and maintain proper alignment if you already have it OR realign themselves if you don’t. Worried about sizing? Worry no more! YogaToes GEMS are a one-size-fits-most, accommodating women sized 6-11 and men 7-10. So… go ahead and revive your toes the “Gem” style with YogaToes GEMS! It is sure to bring some fun and laughter with purpose and style. When searching for unique gifts, you want to look for a product that will not only be invaluable and extra special to that special someone but also for something that will constantly remind that person just how much you care about them. Well… look no further! Your gift of the Smarter LifeStyle Titanium Magnetic Therapy Anklet (which can also be converted into a bracelet) will achieve just that. Does your loved one suffer from foot pain, decreased circulation or just an overall feeling of tiredness in their feet? Magnetic therapy is the perfect solution! Never heard of magnetic therapy? Let me take a moment to change your world! enhanced overall mood, energy and balance. Essentially EVERYONE can benefit from magnetic therapy. or if you have received a local cortisone injection over the same area of use within the previous 2 weeks. Why not give your loved one a stylish anklet that will also do wonders for their feet, legs and emotional health? The Smarter LifeStyle Titanium Magnetic Therapy Anklet is essentially like giving two gifts all in one. This anklet can also easily be converted into a bracelet… the necessary tools are even provided with your purchase! Magnetic therapy dates back over 2,000 years and is an alternative medical practice that uses unmoving, or static, magnets in order to alleviate pain and other health conditions and concerns. The science behind this practice is based upon the notions that static magnets have the ability to alter an individual’s biofields (fields of energy that surround and penetrate our bodies). All science aside… magnetic therapy does actually work, but you HAVE to invest in a product within a proven brand that specializes and excels in magnetic therapy to achieve real results. The absolute BEST product that I have found is the Smarter LifeStyle Titanium Magnet Therapy Anklet. I have personally seen this product in action with numerous patients, personal family members and even myself. Feel free to read more about me HERE. 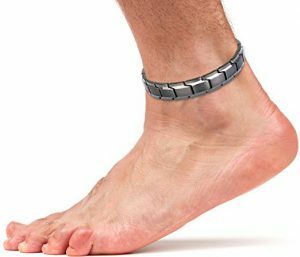 The Smarter LifeStyle Titanium Magnet Therapy Anklet is elegant and stylish for both men and women, but most of all… it is absolutely effective. What sets this product apart from its cheaper magnetic therapy competitors is its quality and effectiveness in relieving the legs, knees, shins, ankles heels, feet and toes. And… I am here to recommend unique gifts that you will be proud of… not something that will break or be ineffective. Click HERE to buy the Smarter LifeStyle Titanium Magnet Therapy Anklet now at the cheapest price!!! I have included a list of some of the superior features that the Smarter LifeStyle Titanium Magnet Therapy Anklet prides itself in below. 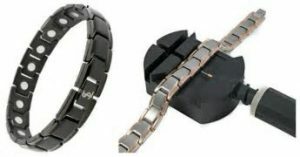 Extra Strength Magnets: Powerful 3500 Gauss, neodymium magnets (the best in the industry) are carefully placed within each functional link of the Smarter LifeStyle Titanium Magnet Therapy Anklet in order to provide the best results obtainable and to ensure that the anklet will keep its strength year after year. This is one of the many reasons that this product excels above its competitors in effectiveness (and costs a little more). 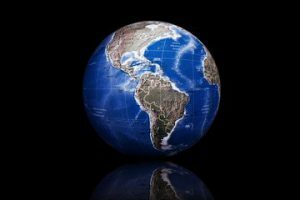 Don’t mortify yourself or waste your money on products that utilize weaker magnets, plain bio negative ions, or the so-called four-element devices. Pure Titanium: The Smarter LifeStyle Titanium Magnet Therapy Anklet is handcrafted in order to provide the utmost quality utilizing only pure titanium and a strong clasp that will stay put. Undiluted titanium is lightweight, yet extremely strong bestowing both durability and comfort. Stylish Design and Color Options: The Smarter LifeStyle Titanium Magnet Therapy Anklet is fashionable on both women AND men and is available for purchase in four different colors including black, gunmetal gray, silver and silver & rose gold. Designed to minimize the suspicion of anything other than jewelry, it is often even purchased as a fashion piece without the therapeutic qualities recognized and understood by the buyers. Adjustable and Resizable: Arriving at about 10.2 inches (25 cm) in length and around 0.5 inches in width (1.2 cm), the Smarter LifeStyle Titanium Magnet Therapy Anklet arrives with a complimentary tool with detailed instructions to adjust the length of the anklet in mere minutes to ensure a perfect fit. Should the recipient have extra large ankles, no problem… just message the seller upon purchasing and typically the extra links will be sent out within a few days free of charge via UPS standard first class mail. If a bracelet is preferred over an anklet, you can also convert this product into a bracelet with the included tools! 100% Hypoallergenic: The Smarter LifeStyle Titanium Magnet Therapy Anklet is guaranteed Lead and Nickel free which means no skin irritation for those with metal allergies which is commonly seen with the use of stainless steel and copper products. Low Maintenance: Titanium is very low maintenance which means that cleaning is a breeze… you simply utilize a jewelry cloth and wipe the product to renew the surface to its original luster. Gift-Ready Presentation: Yes… you read this correctly. The Smarter LifeStyle Titanium Magnet Therapy Anklet arrives all but wrapped in an elegant velvet gift bag with a gift box making a great presentation for your special someone to unveil. That is just pure awesomeness! I’m sure that you can see now why the Smarter LifeStyle Titanium Magnet Therapy Anklet earns its position within my recommended unique gifts as it provides natural, non-invasive extra strength pain and inflammation relief along with providing peace and balance to our bodies. Gift the Smarter LifeStyle Titanium Magnet Therapy Anklet and witness it for yourself… your special someone will sure thank you! Purchase your Smarter LifeStyle Titanium Magnet Therapy Anklet now by clicking HERE now!!! Price: $69.99 Ahhhhh… spa you say? Just the sight of the Nursal All-In-One Foot Spa Massager is Heaven to one’s eyes… and feet too lol! The Nursal All-In-One Foot Spa Bath Massager made the top list of unique gifts list because… let’s face it… everyone LOVES a spa day. And… this particular portable spa provides the best bang for your buck leaving nothing more to want. Your loved one will REALLY appreciate you for giving them the gift of revitalization. With great durability, including high temperature and aging resistance, along with digital control buttons and LED display screen for a fully customizable approach, this portable spa is unparalleled in quality with the ability to provide years of pleasurable relaxation! Click HERE to buy NURSAL All-In-One Foot Spa Bath Massager now at the cheapest price!!! Your genuine caring for their quality of life will be remembered each and every time they slip their feet into this warm, bubbly piece of Heaven! Controlled Temperature Setting: Adjustable temperature settings ranging from 95 degrees Fahrenheit to a whopping 118 degrees Fahrenheit ensures that your loved one’s optimal temperature will be met. The set temperature will quickly be obtained and sustained with this product’s speed heating and temperature maintenance features. There is no need to be adding hot water to this device throughout treatment which simply adds to the luxuriousness of the spa experience. Bubble Massage: Give the gift of health! With the option of a constant wave of oxygen bubbles massaging the feet, your user will experience a relief from the daily fatigue on their feet all while both improving metabolism and promoting increased blood circulation. Rolling Massage: As if the bubble massage isn’t enough, an option for a rolling massage is available to your loved one. Via 11 mini multi-rollers, your special someone can incorporate more of a kneading-type massage to relieve their aches, pains, and just pure tiredness experienced in their feet after a busy day of activity. Be that special, thoughtful and caring gift giver… give the treasured Nursal All-In-One Foot Spa Bath Massager. This truly is a gift that keeps on giving. Purchase your Nursal All-In-One Foot Spa Bath Massager by clicking HERE now!!! What about giving a gift that can truly enhance the health and well-being of your loved one? That is exactly why the Fitbit Alta Fitness Tracker Watch has made my list of unique gifts… this is a great product at a fabulous price that will provide inspiration to that special someone to get their hearts to pumping by tracking their every move. See… I told you EVERYTHING contained within my recommendations for unique gifts would be about feet! The goal with any activity tracker is to provide constant motivation to become more active… to increase FOOT and body movement. With an amazing price of just under $100 and the reputable brand name of “Fitbit”, the Fitbit Alta Fitness Tracker Watch will definitely give you the most bang for your buck all while genuinely impressing your loved one. Click HERE to buy the Fitbit Alta Fitness Tracker Watch now at the cheapest price!!! Imagine the surprise and excitement on the face of your special someone when they recognize the sincerity behind your gift of the Fitbit Alta Fitness Tracker Watch. Enhanced Motivation to Meet Daily Goals – Your loved ones will remain motivated throughout the day through the pure enjoyment of tracking everyday activities such as their steps, distance traveled, total calories burned, automatic exercise recognition and their total active minutes per day. It will become a game to them to try to “beat” their previously recorded days’ activity… thereby pushing them to gain a more active, virtuous lifestyle. Better Rest – The Fitbit Alta Fitness Tracker Watch not only allows sleep tracking, but also includes a silent, vibrating alarm option for a better waking experience. Your special someone will wake feeling refreshed and ready to tackle the day ahead. Easy to Read Display with Functional Motion and Tap Display – Want to see the time? No problem… with a simple wrist turn, the time will automatically appear on the easy-to-read, bright OLED screen. You can then tap away to check the progress of your stats and view any call or text notifications. Easy Sync with Call, Text and Calendar Notifications – There is no need for interruption during a work-out OR during a business meeting as the Fitbit Alta Fitness Tracker Watch will wirelessly sync through Bluetooth to both Android and Windows (iPhone) devices to allow call, text and calendar notifications directly to the display screen. This allows the user to decide if immediate attention is required or if it can wait. Stylish Design – While most fitness trackers are bulky and uncomfortable, the Fitbit Alta Fitness Tracker Watch boasts both a sleek style with high quality, durable components all while maintaining enormous comfortability. There ARE cheaper, knock-off versions of the Fitbit Alta Fitness Tracker Watch, such as the Wesoo K1 Fitness Watch ($29.99) and the Juboury Fitness Tracker ($34.99), but I can tell you… you get what you pay for. All of these cheaper brands look and function just that… cheap. So… if reliable stats, eye-catching style and durability are important to you, I wouldn’t suggest throwing your hard-earned money away on these no-name products. 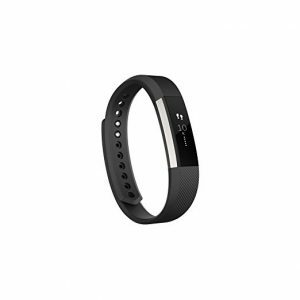 Instead,… invest it towards the Fitbit Alta Fitness Tracker Watch. Trust me… this product definitely provides the most efficient function at a hard-to-beat price. A little note… While heart rate tracking is important to some, the Fitbit Alta Fitness Tracker watch does NOT include this feature. However, there is the Fitbit Alta HR Fitness Tracker Watch that DOES provide this commodity. This watch hosts all the above-mentioned attributes along with heart rate tracking at a total cost of $129. You can purchase the Fitbit Alta HR Fitness Tracker Watch (WITH HEART RATE MONITORING) by clicking HERE now!!! Whether your special someone is an exercise advocate who will fully utilize every minute feature OR a more sedentary individual who will get the most out of reading simple stats and enjoy the phone notifications feature, the Fitbit Alta Fitness Tracker Watch is one of the most unique gifts that is sure to be treasured by your loved one. I mean… it IS the gift of health! Purchase your Fitbit Alta Fitness Tracker Watch by clicking HERE now!!! Yep… you read right! There IS such a thing as rechargeable heated slippers AND your loved one can wear them both indoors and outdoors… is that not AMAZING? EVERYBODY knows of SOMEONE that constantly complains of cold feet, right? Well… the Sharper Image Rechargeable Heated Slippers is the PERFECT solution and a truly unique gift for that special someone. Sharper Image truly outdid itself with its release of their rechargeable heated slipper. 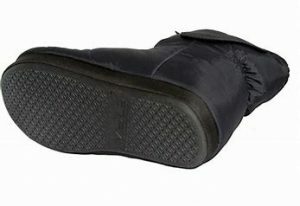 Prior to finding this particular product, I had searched for a pair of heated slippers only to find one of two things… either the reviews told of safety hazards including cheaply made products that would cause actual skin burns (and even showed pictures of this) OR the product plugged into a USB port and didn’t truly allow the freedom of movement. While these products were about half the price of the Sharper Image Rechargeable Heated Slippers, they were NOT even remotely practical and definitely NOT something that I would ever want to recommend to my readers. 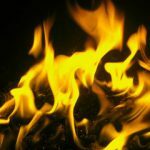 Let’s face it… NOBODY wants to get burned (in a literal sense)! The Sharper Image Rechargeable Heated Slippers excel above its competition in many ways which is why it is on my list of unique gifts for your loved one. With a versatile, unisex design for both comfort and indoor/outdoor use, this product is like none other. Composed primarily by luxurious suede and polyester with convenient velcro-enclosed pockets to firmly secure the batteries in place, all-day comfort is guaranteed via the incorporation of a memory foam footbed. With a ripstop nylon upper shell and a rubber sole, your loved one can venture anywhere they would like without having to worry about both safety hazards or ruining their newfound love… their Sharper Image Rechargeable Heated Slippers! Providing up to 5 hours of tranquilizing heat on a full charge, your special someone can simply press a color-coded LED button and choose BLUE (low heat: 104 degrees Fahrenheit), GREEN (medium heat: 113 degrees Fahrenheit) or RED (high heat: 122 degrees Fahrenheit). Click HERE to buy Sharper Image Rechargeable Heated Slippers now at the cheapest price!!! How does this soothing product charge? Very simply! Your special someone just plugs the charger into an AC outlet and waits for the LED charge indicator light to turn from red, which means charging, to green. The Sharper Image Rechargeable Heated Slippers are available in sizes S, M, L, XL and XXL to ensure that your special someone achieves the perfect fit. I have included the sizing recommendations below. Can you see why this particular product made my top recommended list of unique gifts? With the Sharper Image Rechargeable Heated Slippers, your loved one will truly feel extra special. So… go ahead! Don’t wait… give them the gift of warm feet! You definitely won’t regret it! 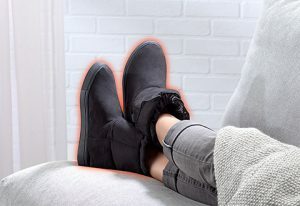 Purchase your Sharper Image Rechargeable Heated Slippers by clicking HERE now!!! How does a nice foot massage sound after a hard day’s work? The Belmint Shiatsu Foot Massager is one of the unique gifts that stands the test of time! With the Belmint Shiatsu Foot Massager, your loved one can come home to a nice, tailored, deep-tissue foot massage that will provide the benefits of increased circulation and healing. Your loved one will feel as though a massage therapist is living right there in their home… at their beck-and-call! Click HERE to buy the Belmint Shiatsu Foot Massager now at the cheapest price!!! Not only will that special person escape into a tranquil world of relaxation, but they will soothe and rejuvenate their sore and tired feet. The Belmint Shiatsu Foot Massager takes pride in its distinctive deep-kneading, rotating massage nodes that work harmonically to alleviate stubborn knots, tension, chronic pain and other aches that is resultant from the abuse we instill upon our feet on a daily basis. You know that when your feet are cold… your whole body is cold, right? Well… as if the massage isn’t enough, the Belmint Shiatsu Foot Massager also designed a built-in heating unit into this sensational apparatus to address just that. Genius! Whether your loved one wants to indulge on the couch at home or enjoy a little regeneration at the office, all they have to do is remove their shoes and select the level of massage and/or heat as desired. Then… it’s off to their secret place of tranquility. With thousands of positive reviews and a strong, reputable brand like Belmint, this is truly a gift that will be treasured. As they say, “the gift of massage is the greatest gift of all”. 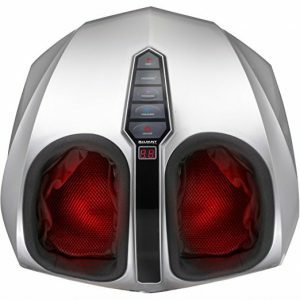 Purchase your Belmint Shiatsu Foot Massager by clicking HERE now!!! Work in progress so… check back… there are more unique gifts to come!!! I sincerely hope that you have benefited from the unique gifts that I have listed above AND have found THE PERFECT GIFT for your special someone! If you have some truly unique gifts that you feel deserve a spot on my list OR if you have some experience with any of the unique gifts listed above, please feel free to comment below! I would love to try the FootMate System Foot Massager & Scrubber with Rejuvenating Gel and a Healthy Feet rejuvenating cream. I think of all of the unique gifts that this is my favorite. I know about feet massage as I studied it. I have to tell you that your entire body health can be controlled from your feet so, a good massage for your feet relaxes you and makes you…Fresh. Nice reading and I will try these two products and i will let you know. Hello Cristina and thank you so much for your visit! I am so glad that you enjoyed my list of unique gifts for the feet. Please do let us know how you enjoy your FootMate System Foot Massager & Scrubber with Rejuvenating Gel! I know you will NOT be disappointed and cannot wait for your review! Let me know if I may assist in any other way! Have a fabulous day! Interesting list of unique gifts. I recently got my first foot masssage and pedicure in Thailand and really liked it. Definitely up for more! I was having a hard time trying to figure out what to give my elder sister on her birthday. Then I landed here and…problem solved. Thank you for sharing knowledge on these great products. Don’t forget to come back again as I will be adding more, creative unique gifts to the list! I have used a lot of what you mentioned here for my feet which I’ve had issues with my entire life. I must say after doing so I can tell a positive difference. I’ll continue and see if it continues to get better over time. Everything is looking so far so good right now though let’s keep our fingers crossed! William… I am so glad that some of these products have helped you with your conditions! Please come back and let us know which products that you have tried out and how they have benefitted you! My readers, along with myself, would LOVE to know! Thank you for taking the time to tell us a little bit about your experience! There is nothing better than pampering yourself and what better place to start than the feet. I’m on my feet a lot and the thought of the all in one foot spa certainly does sound tempting. Valentines Day is fast approaching, I think I should throw some hints to my husband. That would make a great gift! Hello Lisa! Yes… the Nursal All-In-One Foot Spa Bath Massager not only feels AMAZING, but also offers great health benefits as well. This is solid information on how to keep your feet clean and some different techniques to follow for keeping healthy. I really enjoyed your knowledge here Dr. Baker, thank you for sharing! These are some great gifts you can give to others as well just to show how much you care 🙂 excellent job! Thank you for the kind words Ryan! 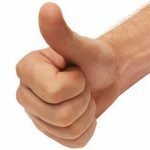 I do hope that you found this list of unique gifts truly helpful! Should you develop any questions or concerns with anything, please feel free to comment again and I will get back with you! So true – the feet do the most work and we neglect it until foot problems arise then it leads to discomfort which can affect the way we walk which in turn sets off a whole lot of foot and knee problems. I experienced an ankle injury years ago which caused me to limp for a while it still affects my walking. Hot baths and pain gel seems to help.It’s a wake-up call to treat your feet with respect and the proper care it deserves. You have some great tips for feet and I will be investigating Smarter LifeStyle Titanium Magnetic Therapy Anklet for the ankle – I suspect I may have arthritis in its early stages. I am waiting for an appointment from the hospital to x-ray my ankle. I am so sorry to hear about your ankle! From my experience, I regret to say, when an ankle injury occurs, MOST of the time arthritis later ensues. I would say that I see this in at least 99% of all ankle injuries! It is sad… but true. As I read about O’Keeffe’s for Healthy Feet Foot Cream I could just think about my own feet. 🙂 They’re very dry and nothing seems to change that. Should I use them every day? I’ll probably buy it and give to husband to use on MY feet. Then I’ll buy something else for him. So glad that I could help! Please come back and let us know just how much you LOVE this product. You will NOT be disappointed! The Belmint Shiatsu Foot Massager looks like heaven… Forget getting this for someone else, I want one for myself!! Thanks for a very refreshing post about the things that most people neglect and not take enough care of. As someone who is in the health and fitness industry, I know about the importance of taking care of one’s feet, not only for physical maintenance and well-being, but also for its direct connection to spiritual nerve centers and the whole body. Thank you for visiting my post on unique gifts for the feet! The Belmint Shiatsu Foot Massager is an absolutely amazing product! Not only will your loved one (or you) enjoy escaping into a tranquil world of relaxation, but the health benefits of the heat and massage action are truly astounding! Who wouldn’t adore this truly unique gift? Please feel free to come back and let us know how you are enjoying your Belmint Shiatsu Foot Massager! I LOVE feedback… and my readers do too! I know that you will not be disappointed in this product! If you have any questions regarding this product or any others, please feel free to ask away! I am truly here to help! I love the footmate scrubber, how great is that?? I’ve never seen anything like it, I’d buy one for myself, let alone someone else! Is it a new type of product, I’ve never seen one before? 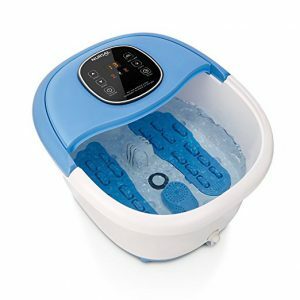 I love the foot spa as well, I owned one years ago (different brand) but threw it out as it stopped working so effectively, but when it did it was great. I need to direct my husband to this page in time for valentines day I think!! Hello Alice! 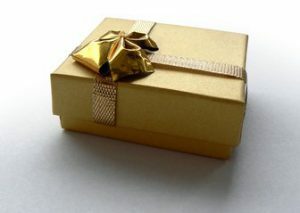 I am thrilled that you found some new “wants” from my article on unique gifts! 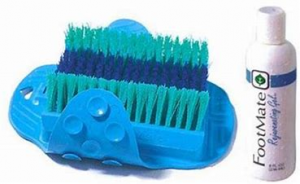 The FootMate System Foot Massager & Scrubber with Rejuvenating Gel is simply genius! 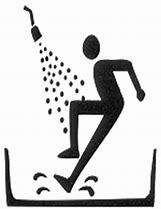 We all know how difficult it can be to really scrub your feet when showering! It was actually developed in 2009, but didn’t seem to really gain in popularity until about the last two years… I am assuming that maybe this was due to some inadequate marketing. This is just my guess because literally EVERYONE that purchases this item just rants and raves over how awesome it is! I know that it is a fabulous product and definitely deserved its spot on my list of unique gifts! And… as far as foot spas go, the Nursal All-In-One Foot Spa Bath Massager definitely gives you the most bang for your dollar! I know that you mentioned that your previous foot spa stopped working correctly. This will NOT be the case with this product. It is made to last year after year after year! You get a quality product with all the bells and whistles (digital control buttons, LED display screen, fully customizable, high temperature features and aging resistance) at a very reasonable price.